The following is a list of guild programs that were offered during the 2017-2018 guild year. 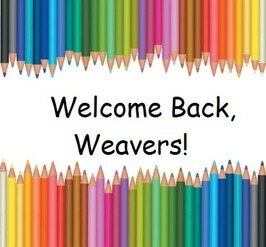 Welcome Back to our Triangle Weaver's Monthly Meetings! Bring items for Show and Tell resulting from summer weaving projects, summer fiber excursions, or anything that inspired creativity for you. Start thinking about our new Guild Weaving Challenge - "Beauty in a Bag". In October, members will exchange brown paper bags of yarns suitable for weaving 2 towels. Over the next year the you will weave 2 towels: one for yourself, and one for the member whose bag you choose. The structure and size of the towel is up to the weaver! Bring your bags of yarn to exchange to the October meeting. 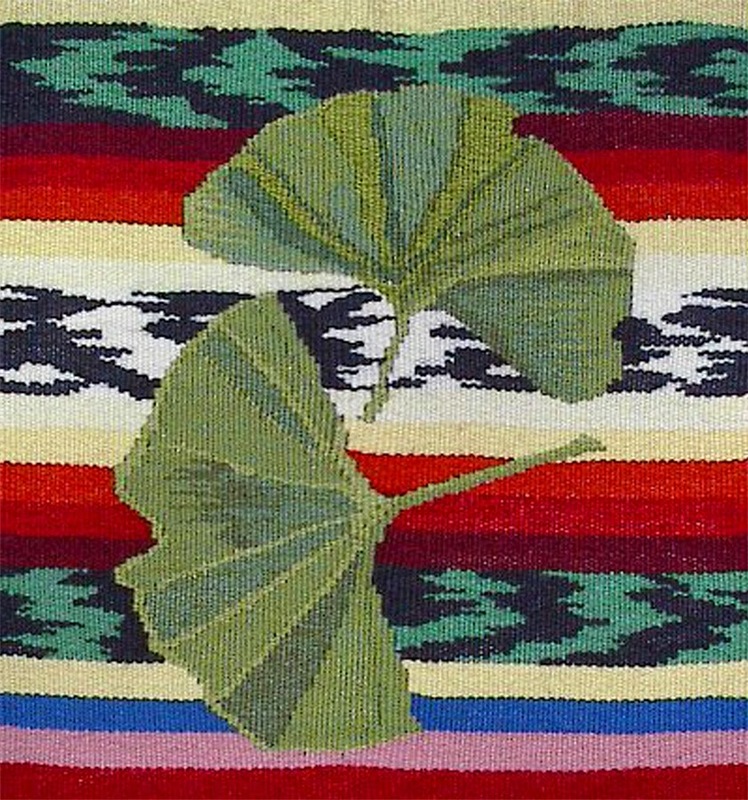 Tapestry Artist Tommye Scanlin will present a program on her tapestry journey--using nature and her surroundings for inspiration, her process and samples will be shown. Michael and Cheryl White of the Georgia Yarn Company will present a program on Cotton--From Field to Fiber. 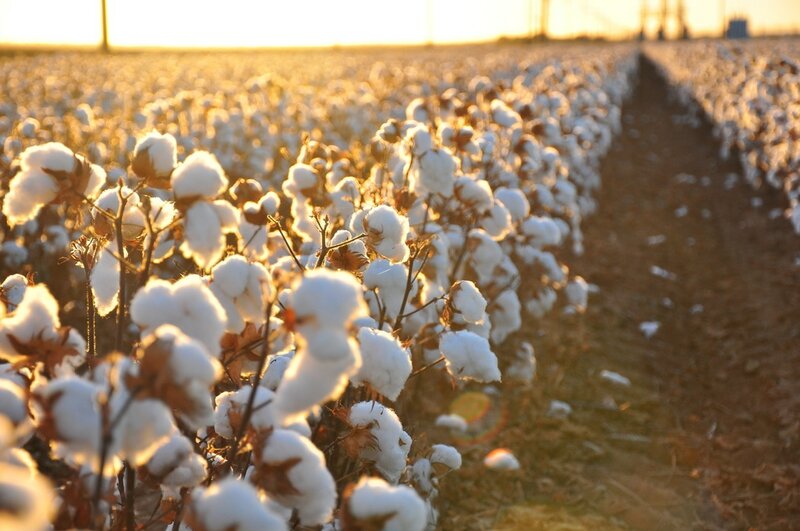 They will cover the history of cotton, types of twists, and figuring yardage. Four short videos will also be shown on the subject. Bring your checkbooks! 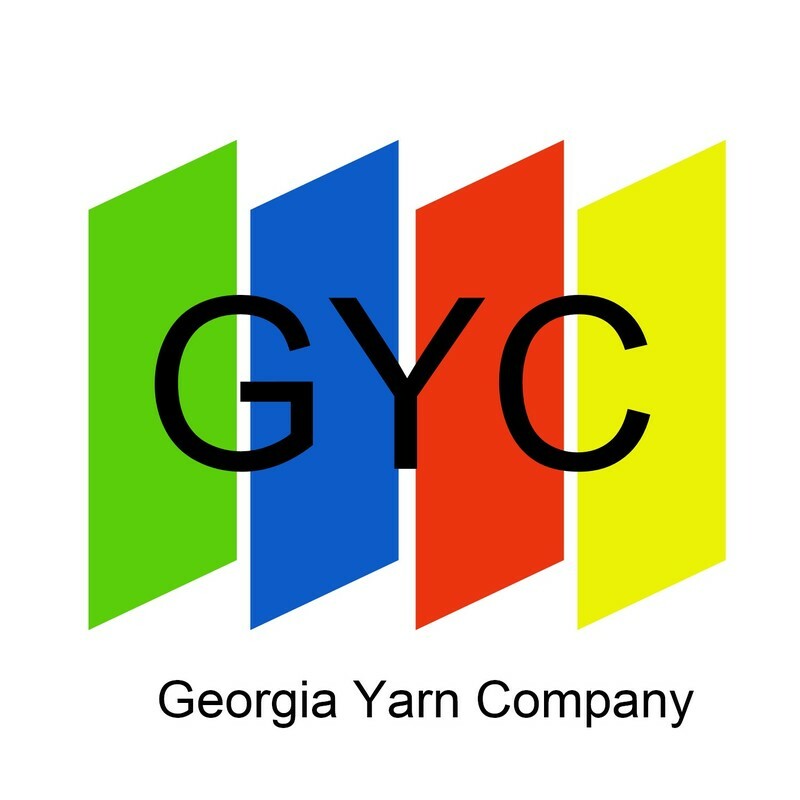 Members will be able to order a variety of yarns from the Georgia Yarn Company. 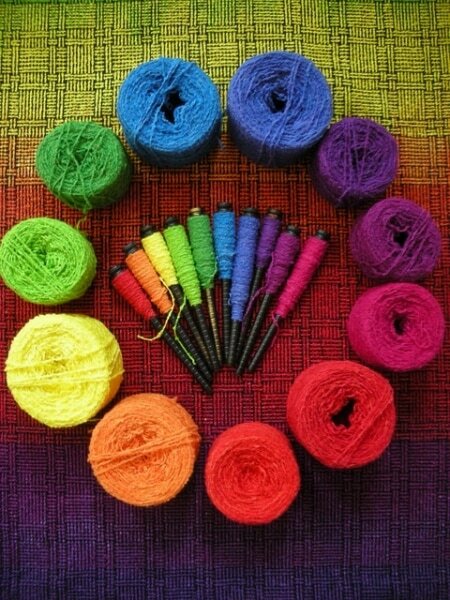 The Beauty in a Bag Challenge yarns will be exchanged with other participants at the end of our Guild Business Meeting. You may add additional yarn to the "bag" and the structure is up to the you, the weaver. The completed towels will be exchanged at the October meeting in 2018. Enjoy a potluck supper while visiting with fellow weavers in a casual setting while you draw your cards for your 2017-2018 Weavers Challenge, exchange gifts in the traditional holiday gift exchange, and enjoy an informal Show and Tell. This is the most relaxed and casual meeting of the year - truly a social event. 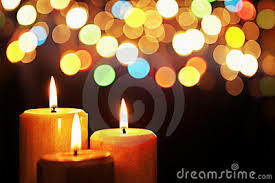 Participate in all of the activities or just come to eat and talk and enjoy the company of your fellow weavers. ​Results from the 2016 4-Card-Draw Weavers Challenge will be revealed! Shibori Dyeing with Kelli Crispin and Mary Kircher: Shibori is the technique of manually resisting dye on fabric resulting in intricately patterned fabric. Kelli and Mary will explore various resist techniques created by pleating, folding, clamping and stitching cloth. In contrast, woven Shibori, is dependent on the weaving process where the resist is woven into the cloth to create the pattern. 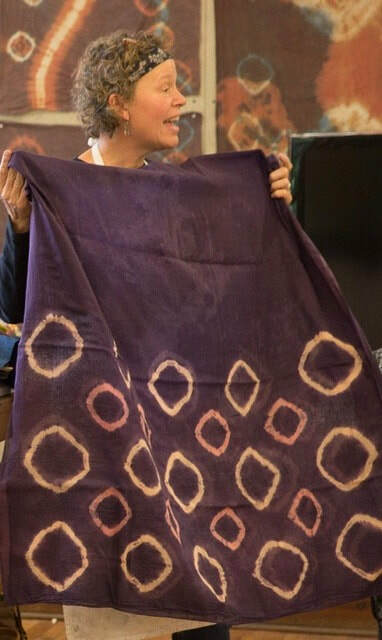 Warp painting with Janet Borel: This part of the program will focus on every aspect of warp painting from winding the warp to applying the Procion dyes from a Procion warp dying kit. 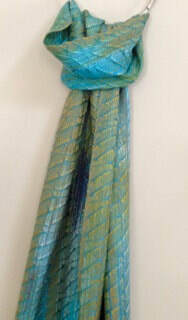 A finished scarf that was made with these dyes will be available so that members can see the end result. Inspiration from photos and pictures will be discussed as well as tips to make warp dying a successful project. Rusted Art Tissue Dyeing with Paula Baumann: Join Paula Baumann in combining rusted found objects with art tissue dyeing. 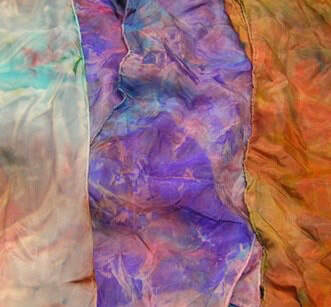 The demonstration will include instructions, samples and design inspired pics for at home dyeing. 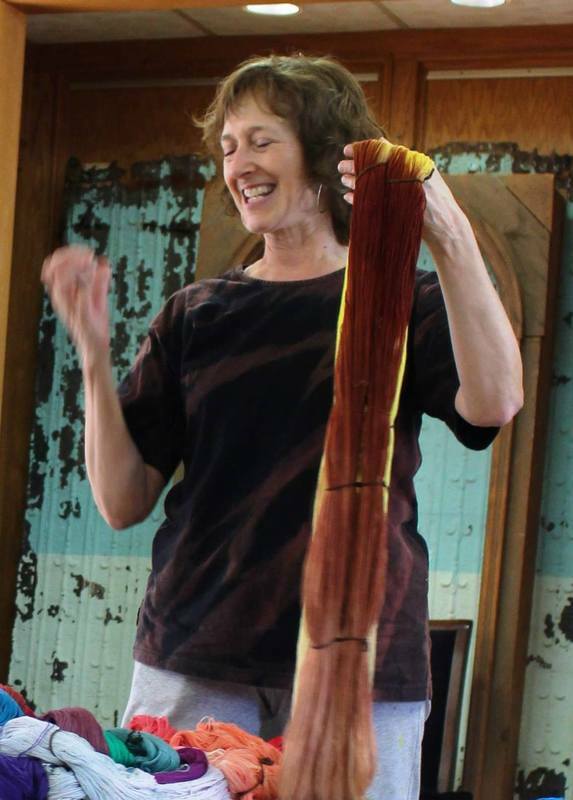 Blazing Shuttles Kathrin Weber will present a program explaining her magnificent hand-painted and dyed warps. 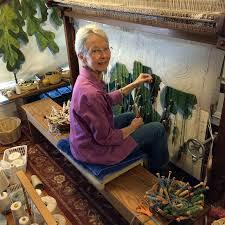 Kathrin Weber has been weaving and dyeing since 1975. She lives in the mountains of NC in a community of artists and other self-employed people. 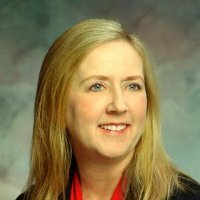 Triangle Weaver's Guild Member Patrice Walker will present a program on Scottish Tartans. 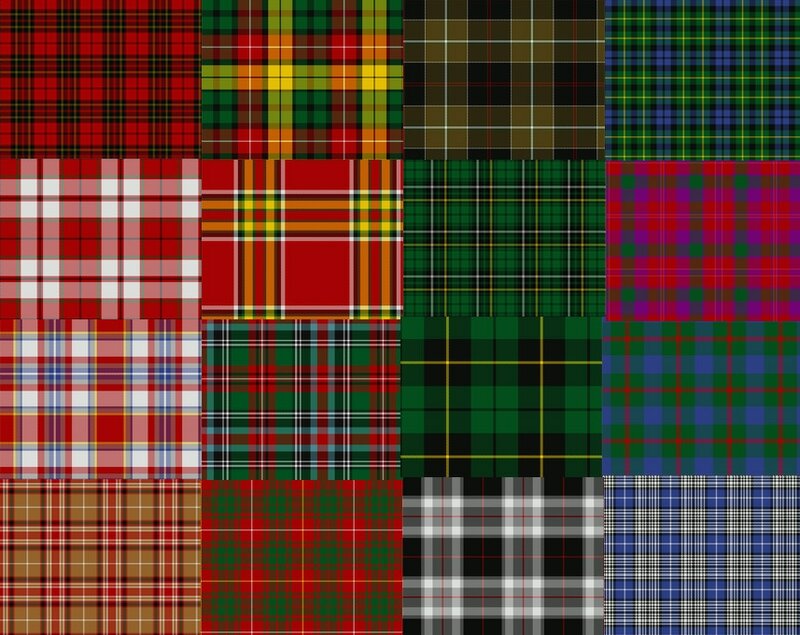 She will share a history of the tartan, bring samples, and give tips on weaving the luxurious fabric of Scotland. Copyright law will also be discussed. 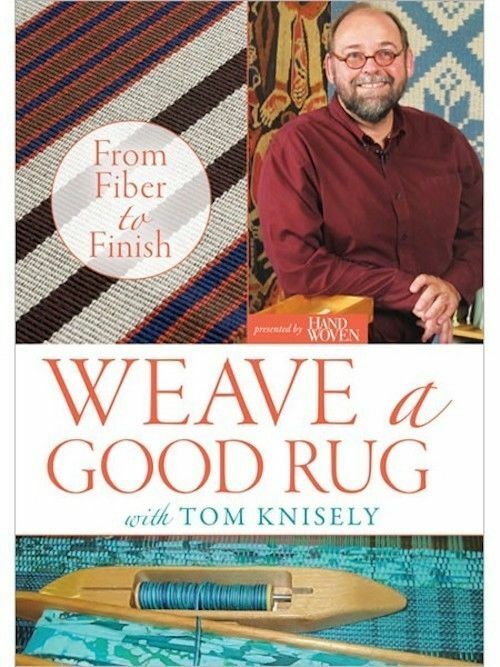 Tom Knisely of Red Stone Glen Weaving School in York Haven, PA will be here! Loom maintenance is so often neglected. 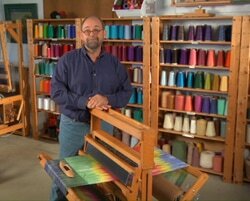 Tom will present a program with lots of tips and tricks for keeping your loom in tip-top shape. Our May guild meeting will be held at the Triangle Fiber Arts Center rather than the Seymour Center. Like last year we will have a buffet dinner without holding a formal business meeting. This year we are putting up a "Show for Ourselves". Think of this as an expanded show and tell. We will put members' work up along the hallway in the Murphey School so we can all see in one place what other members create. It doesn't have to be your best work or your favorite work or your newest work, but it could be any of those or something else. What we are asking is that you share one piece that you have made. We want to put up a piece from everyone to build a rich display showing the varied and diverse work of all our members. Anyone who submits an item will be eligible for one of our door prizes. We will collect items at the April 26th guild meeting at the Seymour Center and at drop-ins through Saturday, May 19th at TFAC. Please download and fill out the item description form (click here) and bring it with your item. Remember this is not a sale. The items will be displayed only on the day of our May 24th meeting at TFAC. Silent auction! 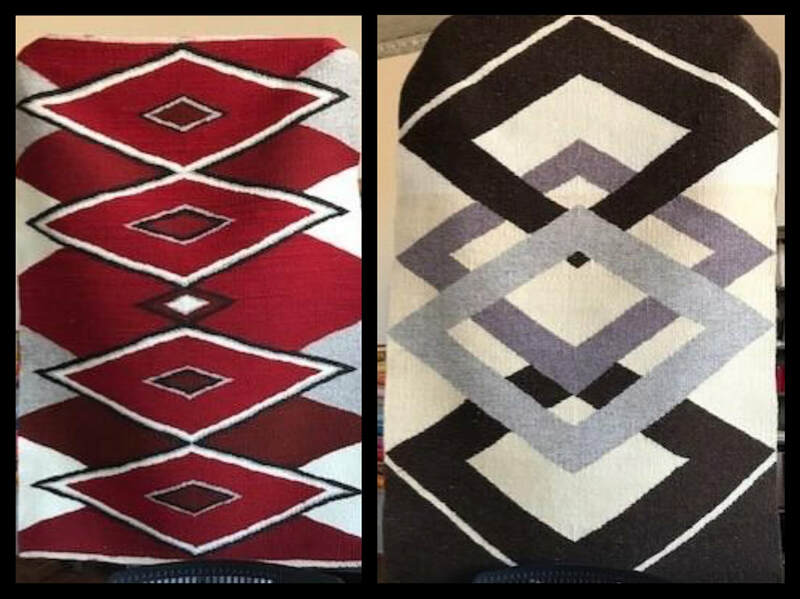 We are auctioning off the two rugs pictured to the right woven by our member Anita Wolfenden and donated to us. This will be a silent auction with the highest bidders at cut off time getting the rugs. Remember: This meeting will be held at TFAC and start at 6:00! Note the change of time and venue! This is our chance to gather at our place for food and fun.